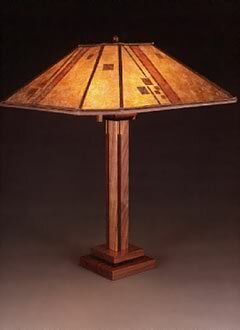 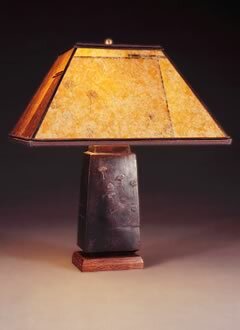 Lamp base and shade available separately. 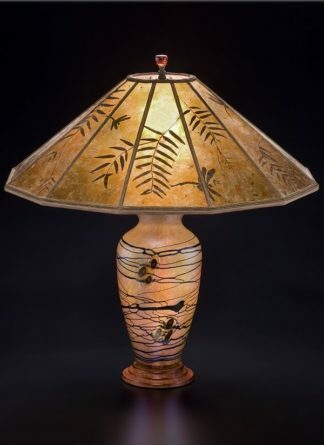 The Lonesomeville Pottery Studio creates a range of leaf, bird and dragonfly designs in a variety of colors and shapes; we feature a number of them in our store and on our site. 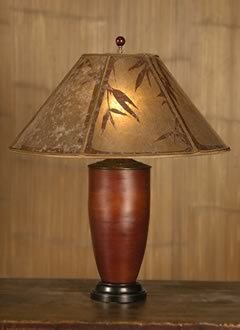 Their themes fit beautifully with the colors, leaves and textures that we employ in our mica shades. 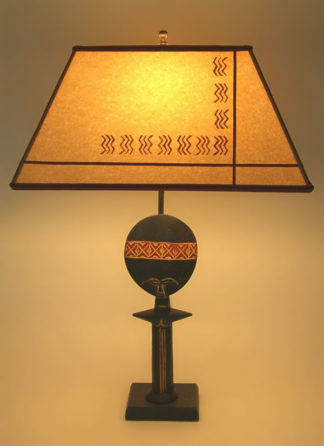 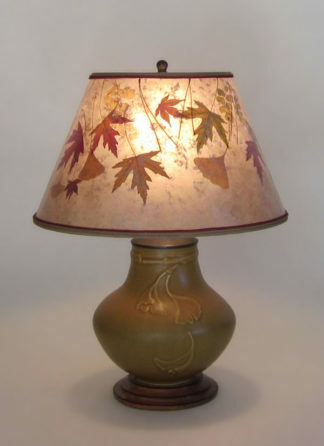 Here their Ginkgo lamp is paired with a round mica shade, adrift with a mix of Fall leaves – yellow ginkgo, green, yellow and red maples, pine needles and more.